Over the past decade, the United Arab Emirates has emerged as a global leader in renewable energy innovation. The UAE’s record-setting prices for utility scale solar caught the world by surprise in 2014 and continued to attract international admiration after Abu Dhabi and Dubai achieved record-low solar prices below $.03 per kilowatt-hour. This breakthrough served as a global bellwether to remove any remaining doubts that solar power could compete with fossil fuels and put the UAE front and center in discussions of renewable energy. Internationally, the UAE’s spirited diplomatic support for the deployment of renewable energy projects in the Global South have placed it on equal footing with global powers such as the EU, US, and China. But compared to those countries, the UAE impressively achieved its success with far fewer resources at its disposal and thus serves as a standard bearer for developing countries. This success positions the UAE well to significantly expand efforts to promote sustainable development in the Global South and lead on renewable energy innovation. An expansion of the UAE’s clean energy diplomacy could not be more timely. Almost every country’s Nationally Determined Contribution (NDC) for carbon emissions under the Paris Agreement singles out electricity production as a key driver of growing emissions. However, most developing countries still lack the financial, technical, and human capacity to effectively expand their energy sectors while simultaneously limiting carbon emissions. Within this context, renewable energy is clearly identified as a key arena where international engagement can lead to a more ambitious emissions reduction target. The US withdrawal from the Paris Agreement has left a void that other international actors—whether government or private sector—can strategically fill. Like most countries in the Global South, the UAE faces development challenges related to rising energy demand, continued population growth, and ongoing industrialization and urbanization. Most analysis suggests that the Global South will contribute most of the projected carbon emissions in the coming decades under a business-as-usual scenario. Within this context, the Grand Transition—characterized by disruptive and innovative energy technologies like solar and wind, the digital revolution, and the shifting societal and economic environment as populations around the world grow and urbanize— presents a unique opportunity for strategic investment in renewable energy in the Global South. An appropriate application of policy engagement and pilot investment projects and policy engagement from renewable energy powerhouses like the UAE could reduce global carbon emissions and unlock billions of dollars of investment opportunities. 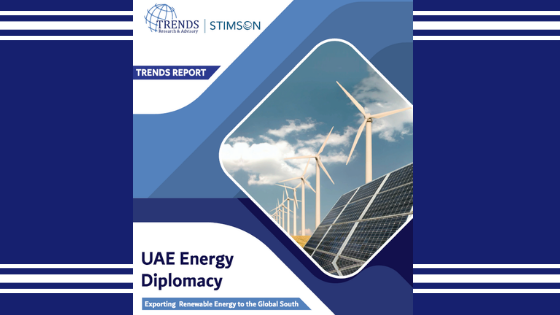 This publication provides context for renewable energy sector development in the UAE, identifies key lessons-learned from the UAE’s first decade of renewable energy leadership and engagement, and explores specific opportunities for the UAE’s leadership to further share these lessons with the Global South. Courtney Weatherby is a Research Analyst with the Southeast Asia and Energy, Water, & Sustainability programs at the Stimson Center. Her research focuses on sustainable development, energy challenges, and infrastructure development, with particular focus on the food-water-energy nexus in the Mekong river basin and China’s investment abroad in energy infrastructure. Weatherby was lead author on the Stimson Center Mekong Power Shift report, the TRENDS UAE Energy Diplomacy report, and has authored and co-authored numerous short pieces across a wide range of online publications including East by Southeast, The Bangkok Post, Nikkei Asian Review, and the Diplomat. She holds a M.A. in Asian Studies from the School of Foreign Service at Georgetown University and a B.A. in East Asian Studies with honors from Dickinson College. Brian Eyler is the Director of the Southeast Asia and the Energy, Water, & Sustainability programs at the Stimson Center. He is an expert on transboundary issues in the Mekong region and China’s economic engagement abroad who has spent more than 15 years in living and working in China and has conducted extensive research with stakeholders in the Mekong region. Before coming to the Stimson Center, he served as the Director of the IES Kunming Center at Yunnan University and as a consultant to the UNDP Lancang-Mekong Economic Cooperation program in Kunming, Yunnan province. He holds a MA from the University of California, San Diego and a BA from Bucknell University. Brian is the co-founder of the influential website EastBySoutheast.com. 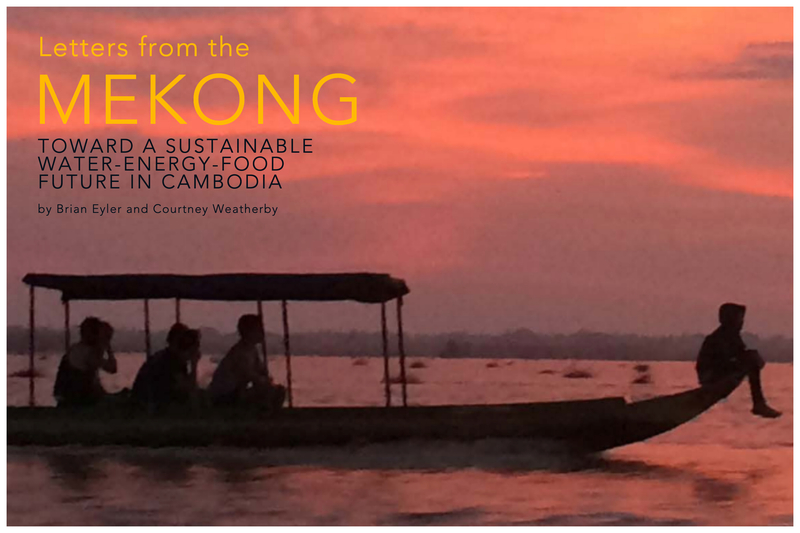 His first book, The Last Days of the Mighty Mekong, will be published by Zed Books in 2019. Richard Burchil is the director of research and engagement at TRENDS Research & Advisory. His research covers a wide range of human security related issues bringing perspectives from international law and relations. He was previously a member of the Wilberforce Institute for the Study of Slavery and Emancipation and Director of the McCoubrey Centre of International, both at the University of Hull, UK. He has lectured and provided training around the world and is an editor/author of eight books. He holds a MA in International Law and Relations from the University of Hull, and a PhD from the University of Nottingham. 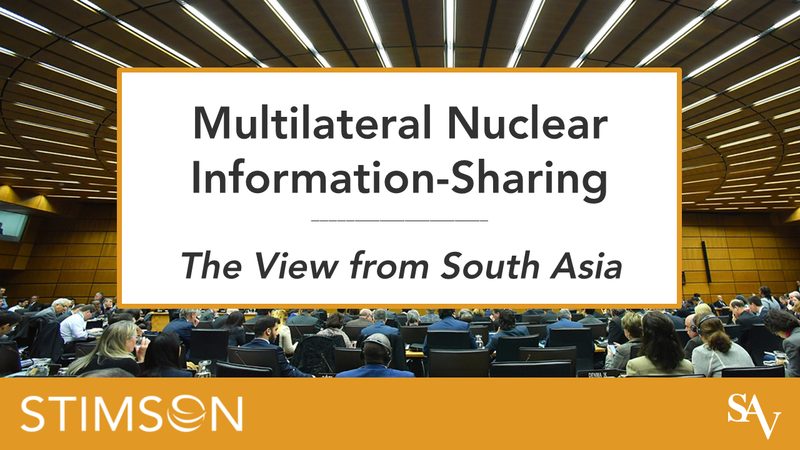 For more information, please check out the video of our D.C. publication launch here or through the link below.